Since my old local butterfly patch (Grange Park) is now a building site I have been spending a lot of time concentrating on the butterflies in Salcey Forest which is just down the road from me. 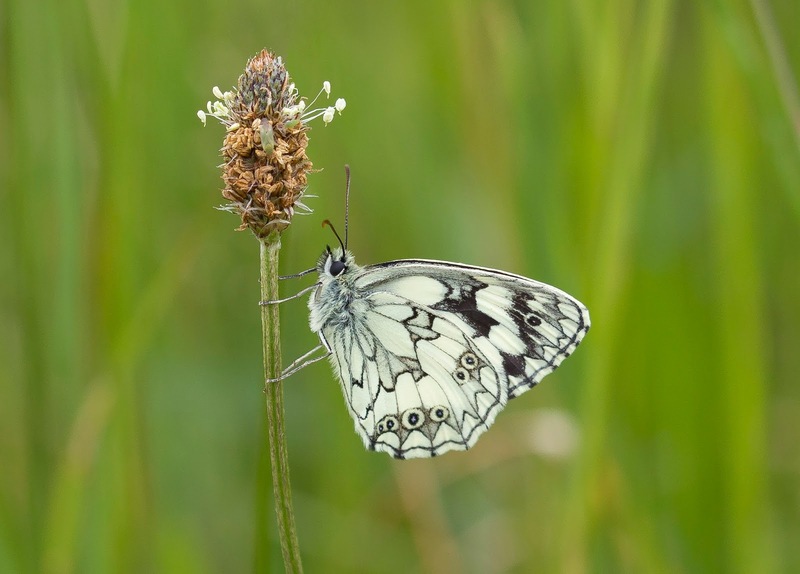 It is great of course to travel and see butterflies but nothing beats finding a good area and visiting it a lot to try and learn in detail the ecology of the site. One of the other benefits of watching an area so close to home is you can visit it whenever you get some free time with ease, in fact if I'm feeling fit I can be there within 15 minutes on the bike! This method of continued visits and study also means that new discoveries can be made, one of these will be covered in the last part of this post! One of the real highlights of Salcey Forest is it's population of Wood Whites. 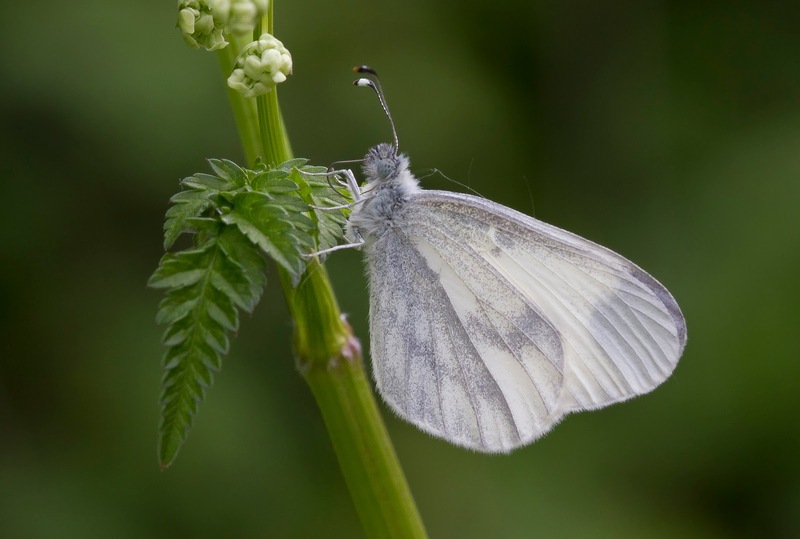 This dainty little butterfly can be seen can be seen fluttering along the vegetation on the sides of the woodland rides and is always a welcome sight when they emerge in early summer. 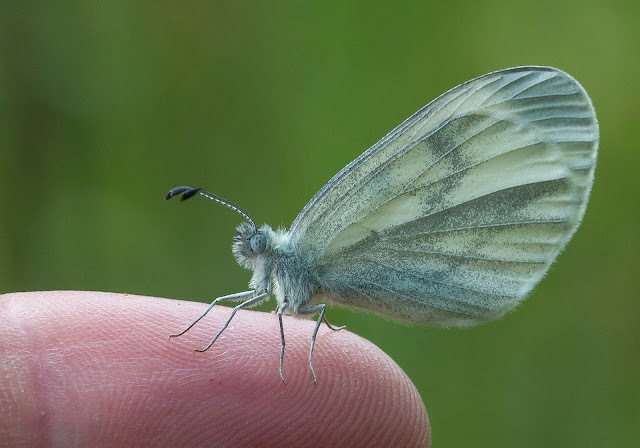 We've had another good year for them here in the forest and I managed to get a maximum count one day of over 90 whilst a week later when more had emerged a survey by other Butterfly Conservation volunteers reached 153 through the whole complex. With there being so many they were also very easy to find even in cloudy weather and I know quite a lot of people traveled to the site to see them this year, in fact a lot of people were asking me for directions to Salcey while I was at Glapthorn watching the Black Hairstreaks. 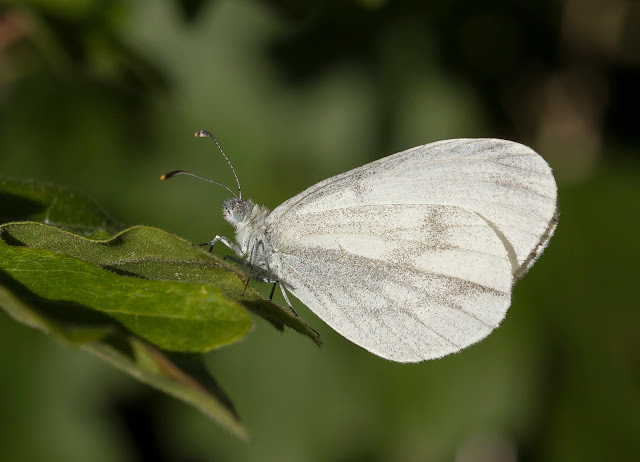 Here are a few photo's of this years Wood White display. 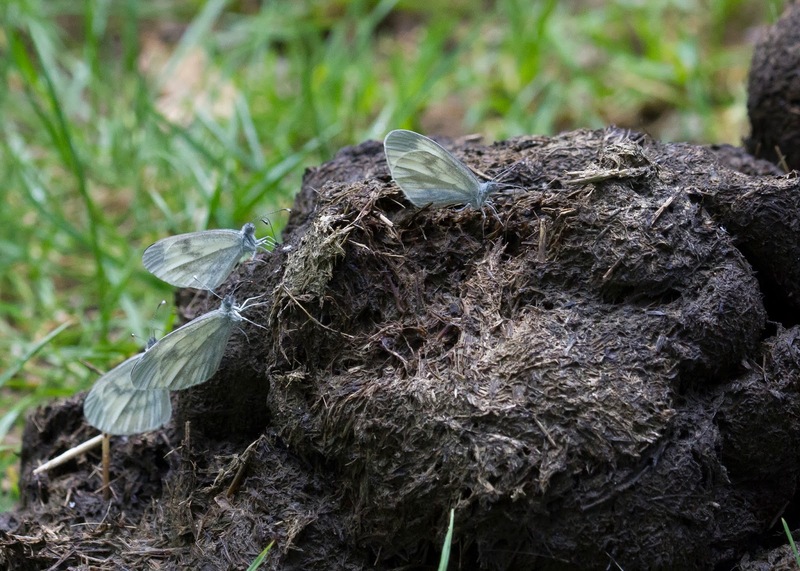 Like other butterflies they do seem to like dung too, and as there are a lot of horse riders who also enjoy Salcey Forest there is no shortage of it. The main concentration of their population seemed to be along the rides around the Piddington crossroads area and quite often the dung piles had quite a few Wood Whites sat on them. For some reason it's something they seem to do when the sun goes behind a cloud or if it rains! 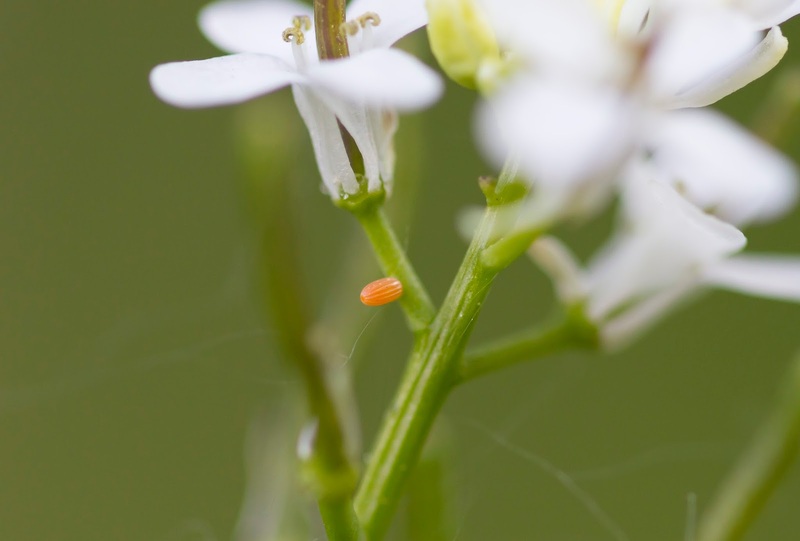 Wood White on Horse Dung, Salcey Forest. They do have an amazing behavioural characterist that's a real delight to witness too and this is their courtship ritual. I was lucky one evening when I popped in after work to find a location where two pairs were busy with their display. 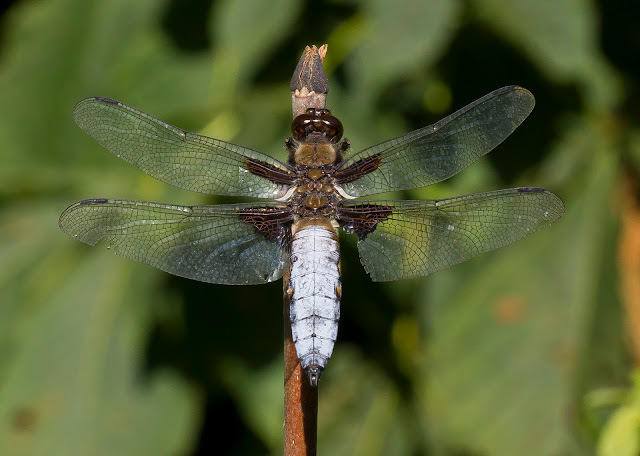 While the female sits on a perch the male positions himself opposite and gently flicks her on either side with his proboscis while regularly flapping open his wings. He will carry on this relentlessly until she either agrees to mate or simply flies away. Unfortunately for the males on the evening I watched them they both ended in failure. I also managed to get a couple of videos which I've slowed down a tad so you can see the ritual in detail. Both clips are in HD so turn up the quality to watch. 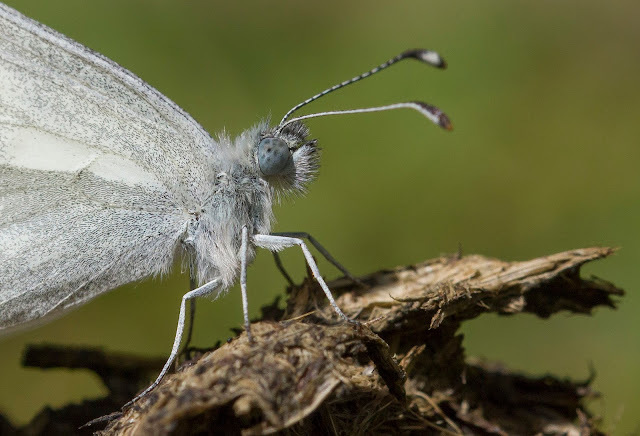 Of course the Wood Whites aren't the only butterflies in the forest and many of the commoner woodland butterflies are all present in good numbers. One which proved a particular distraction for me and Doug Goddard (Northants County Butterfly Recorder) on one of our visits was this Red Admiral. While we watched she could be seen darting around through the Nettles and it became apparent she was in fact egg laying. Trying to keep an eye on where she was laying was far easier said than done but luckily she landed on a leaf in open view and we managed to find it. As you can see the tiny egg is remarkably well camouflaged! Of course one of the benefits of having a static subject to photograph is you can get as close as possible and I managed to get this macro shot to show the structure of the egg. 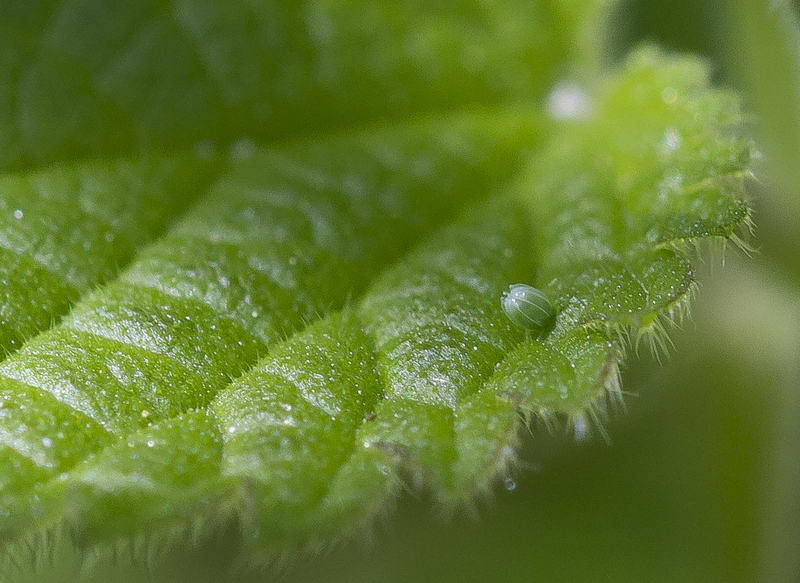 Red Admiral Egg, Salcey Forest. 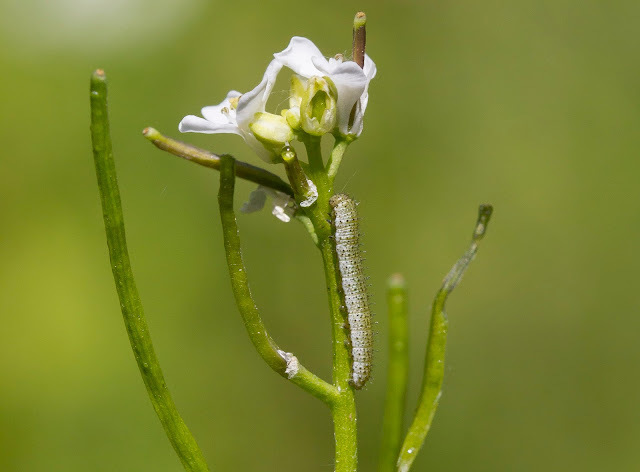 You may also remember from the previous post that I had found a great ride full of Garlic Mustard, the larval food plant of the Orange Tip butterfly. I'd spent a few evenings looking for the eggs and here is a photo showing one of the many found under a Garlic Mustard flower head, apologies for repetition as this photo was posted in the previous post but I've included it again for illustrative purposes. The above photo was taken back at the end of May and by now they had all hatched. 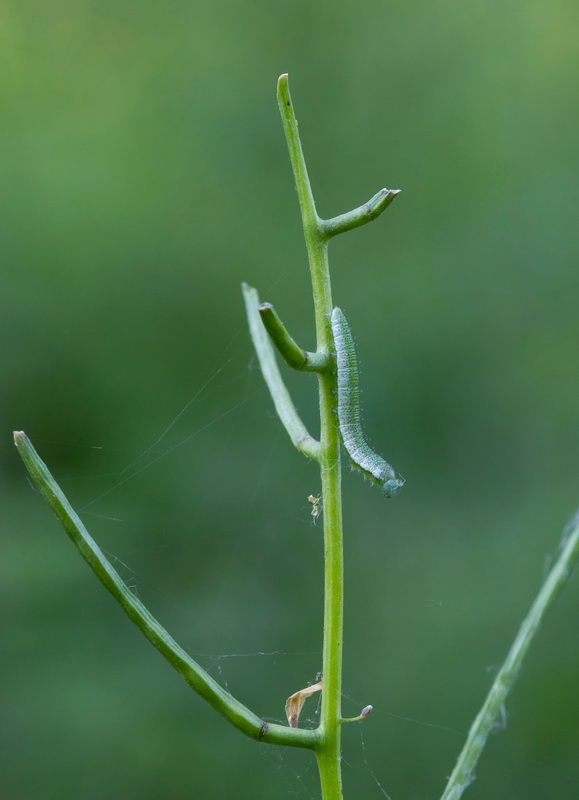 The caterpillars are cannibalistic so you can usually only find the one on each plant but once again their camouflage is very good. They spend their time busily eating the flowers heads and pretty soon all the flowers had vanished leaving just stalks. 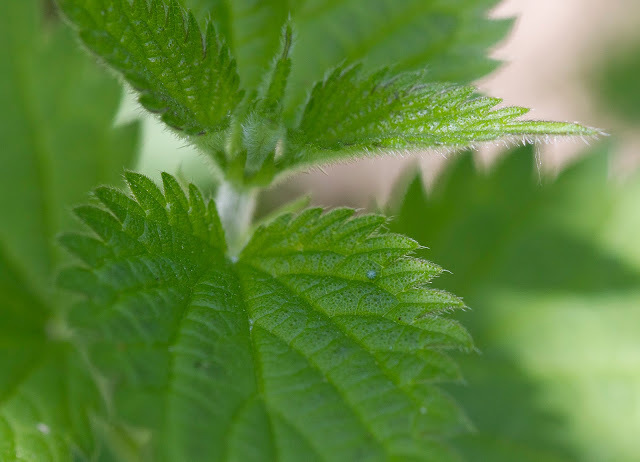 The colouration on their bodies even recreates the shine of the sun on the stalks of the Garlic Mustard. This caterpillar below was also interesting as I inadvertently knocked the plant and disturbed it while taking pics. 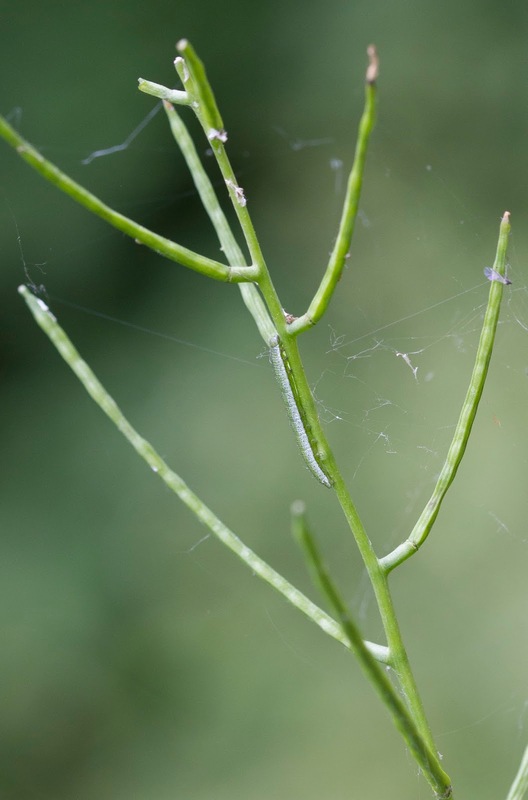 As it felt in danger it positioned itself and lifted it's body up slightly to form the shape of one of the stalks. A very clever trick! 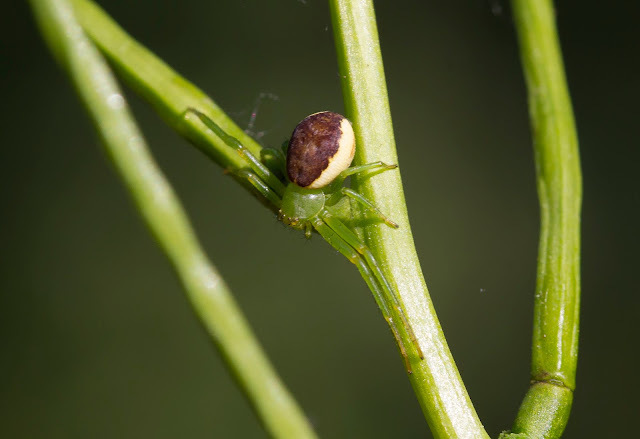 Another interesting inhabitant of rows of the Garlic Mustard and with equally as good camouflage were these tiny Crab Spiders with this one positioning it's legs to blend in with it's background. 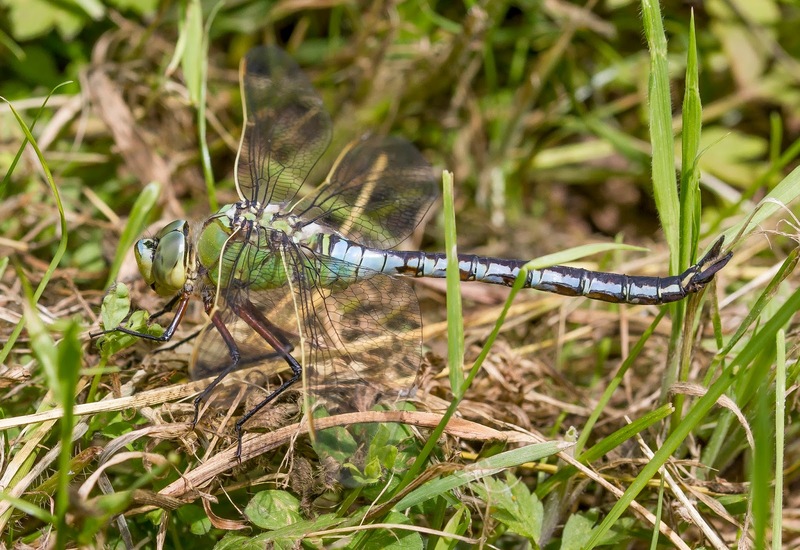 Some of the local Dragonflies also provided a welcome sight as the many small ponds in the area provide great habitats for them, Broad Bodied Chasers, 4 Spot Chasers, Emperor Dragonflies and Brown and Southern Hawkers are all fairly easy to find. Getting back to butterflies the meadow section near the motorway also came up trumps with a nice population of Marbled Whites. These really are stunning butterflies and is in fact one of the species that got me into the subject many years ago. 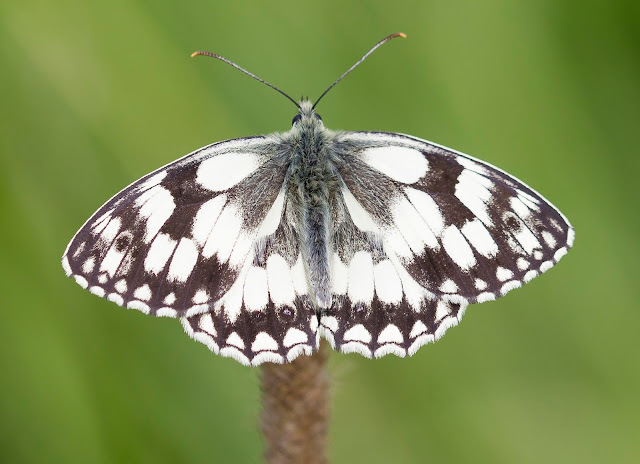 I can still remember standing at Twywell Hills and Dales as a Marbled White fluttered passed me and it completely took my breathe away. I went home and looked it up and from then on I was hooked on butterflies! It is one of the butterflies that has an underwing and upperwing that are equally beautiful in their own right. 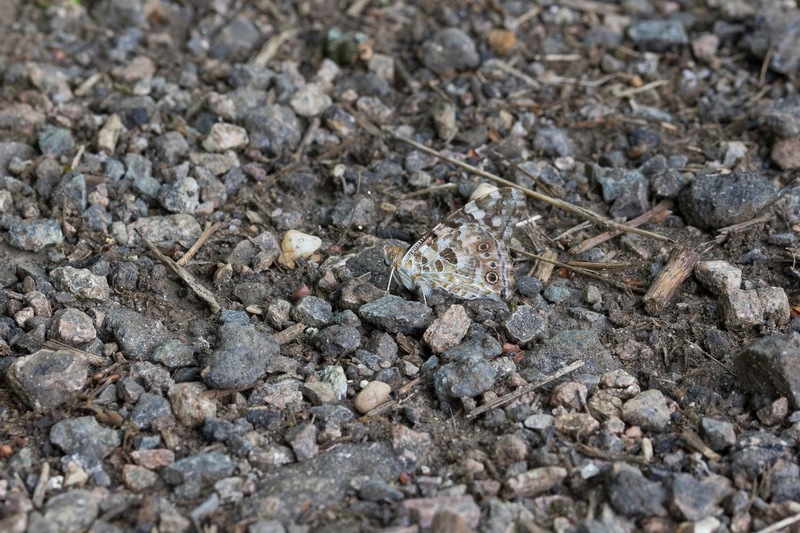 It is often confused as a "White" but it is in fact a "Brown" being a member of the Nymphalidae (four footed butterflies) as can be seen in the photo's below. 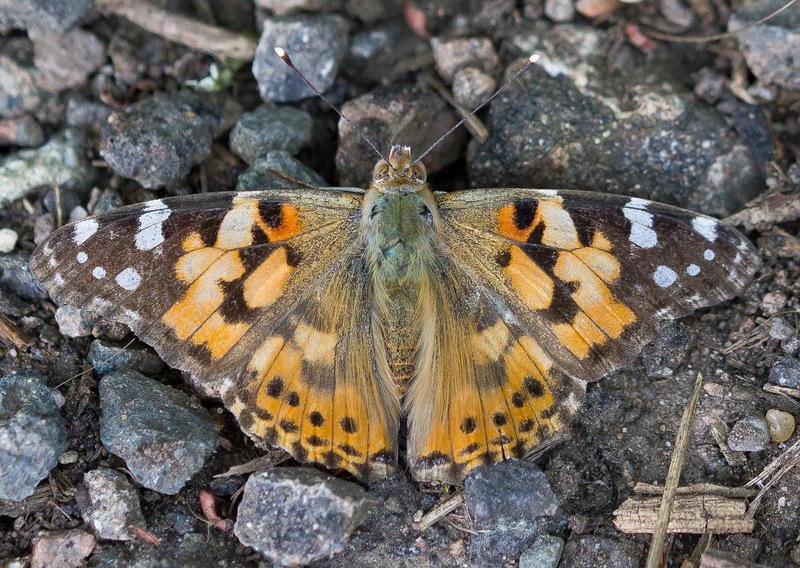 2015 has also been a good year for Painted Lady lots sightings throughout the UK and Salcey Forest has been no exception. They can be very hard to get photos of at times as they really can move like lighting. 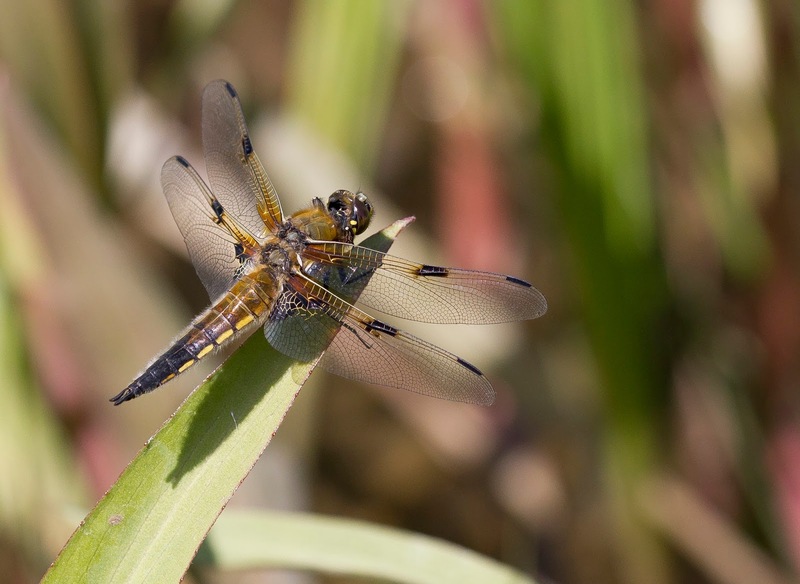 It can come as a real surprise that something so small and delicate can have so much energy and it's no wonder they can make such epic migrations. 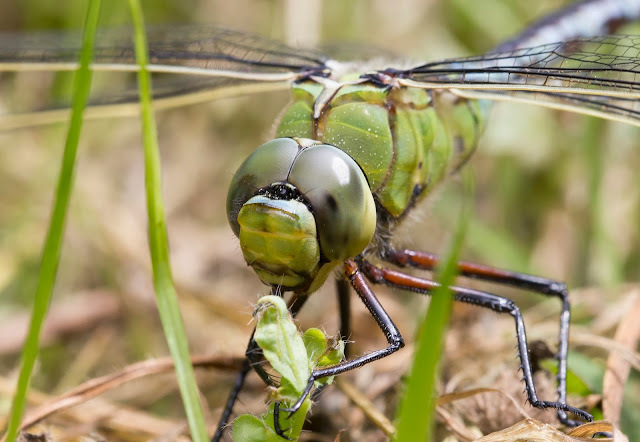 Occasionally they do come to rest though, sometimes to nectar on a flower or sometimes just to rest on the ground. When they do rest on the floor their underwing pattern really comes into it's own as it blends in with it's surroundings. In fact if you take your eye off it it can be surprisingly hard to find again. The first ones I saw were really quite battered, perhaps from their journey to get here. Despite it's appearance though this individual below was moving like mad and it certainly took some keeping up with before I eventually got a shot. Other Painted Ladies seen though were very fresh indeed and this one was no exception, that upperwing does have a real subtle beauty about it. 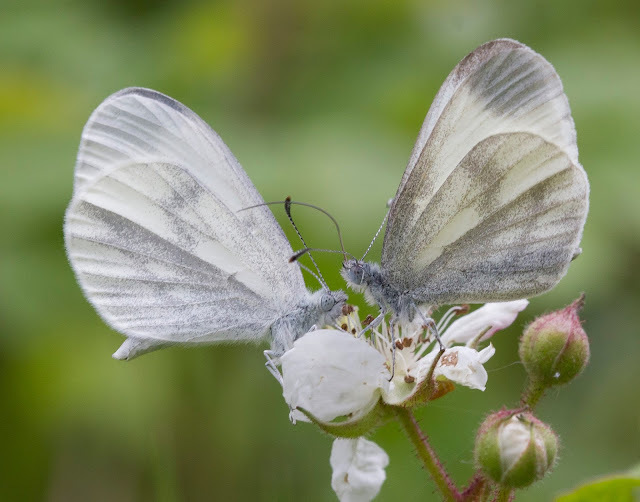 Early to mid July saw the start of the really impressive woodland specialities emerging and Salcey Forest is becoming very well established as a home to iconic woodland butterflies included the Purple Emperor, Silver Washed Fritillary and the White Admiral. 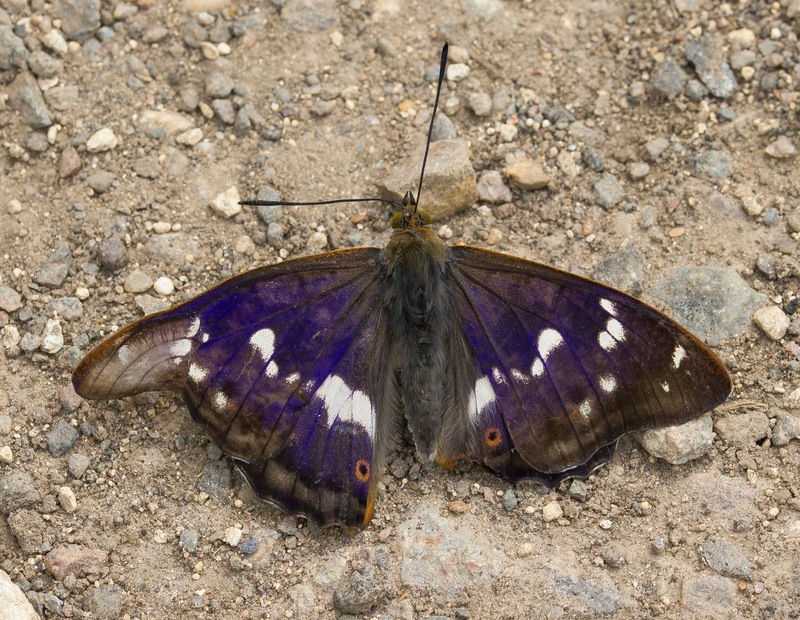 My first Purple Emperor of the year was unfortunate though as it looks like it had difficulty emerging, it's deformities certainly didn't seem to hinder it though as it soon shot off up into the Oaks after I took the below photo. The Beds and Northants branch of Butterfly Conservation held an event on the 11th of July to look for Emperors and it was great to see so many flying around the canopies of the Oaks. A short walk from the south side car park had nearly double figures including a fantastic aerial display by a male chasing a female. 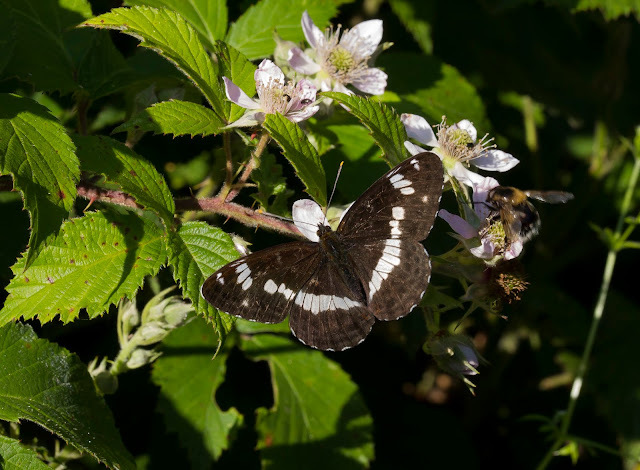 Other masters of the woodland ride edges were the White Admirals that glide effortlessly through the dense branches looking for Honeysuckle. I was rewarded one evening as I wandered along a ride on the south side to see a White Admiral busily nectaring in an area lit up by the last shafts of light from a slowly setting sun. Now here comes one of my best ever butterfly discoveries! 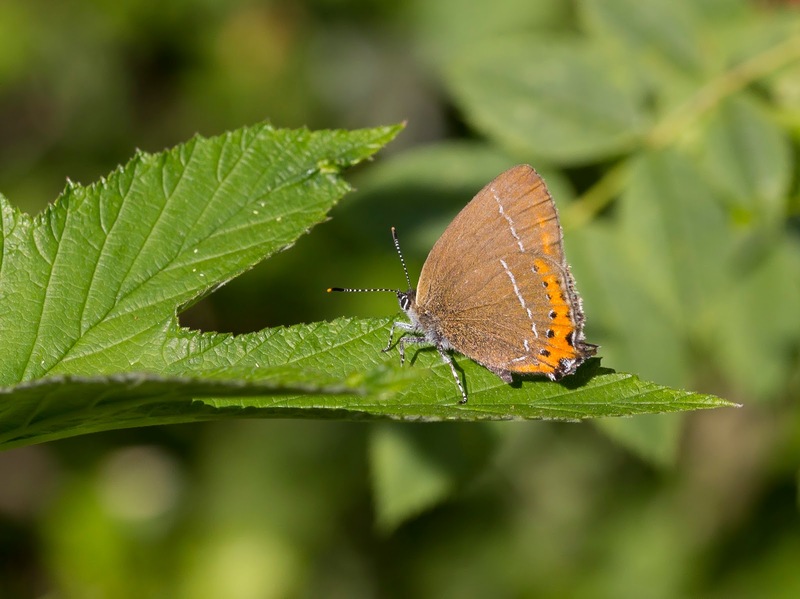 Until the end of the 90's Salcey Forest used to be a great place to see the Black Hairstreak but since then numbers dwindled and a few years later they stopped being reported. When I decided to start surveying Salcey as my local patch I set myself the almost impossible task of finding Black Hairstreaks in the forest - lets just say I like a challenge! 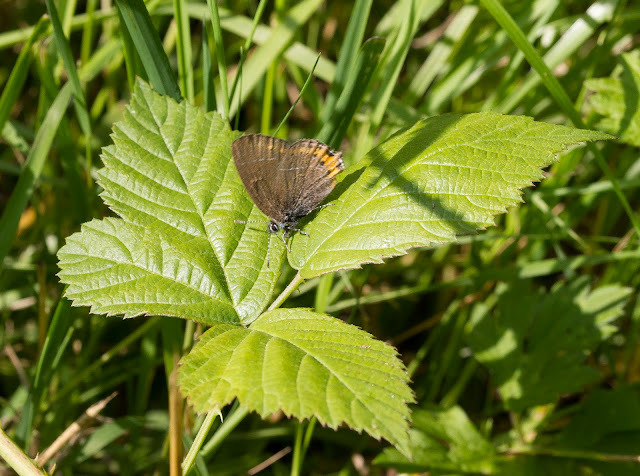 So in the winter months I spent many days wandering around rides and thickets looking for areas of Blackthorn, this continued into spring and I always tried to keep an eye out for what looked like suitable places for Black Hairstreaks to be. Unfortunately (or fortunately whichever way you look at it) there were a lot of places that looked good dotted all around the forest and it became obvious very quickly that finding one would be a real needle in a haystack. Not deterred though I started my search whilst also keeping an eye on the sightings of the Black Hairstreaks being reported elsewhere to try and work out when they maybe emerging. Reassuringly I wasn't the only one looking this year as Alan Neale had decided to look too but hardly surprisingly we seemed doomed to failure. No matter how hard we tried we didn't catch even a glimpse of anything remotely like a Black Hairstreak despite spending long hours watching intently at the tops of the Blackthorns. 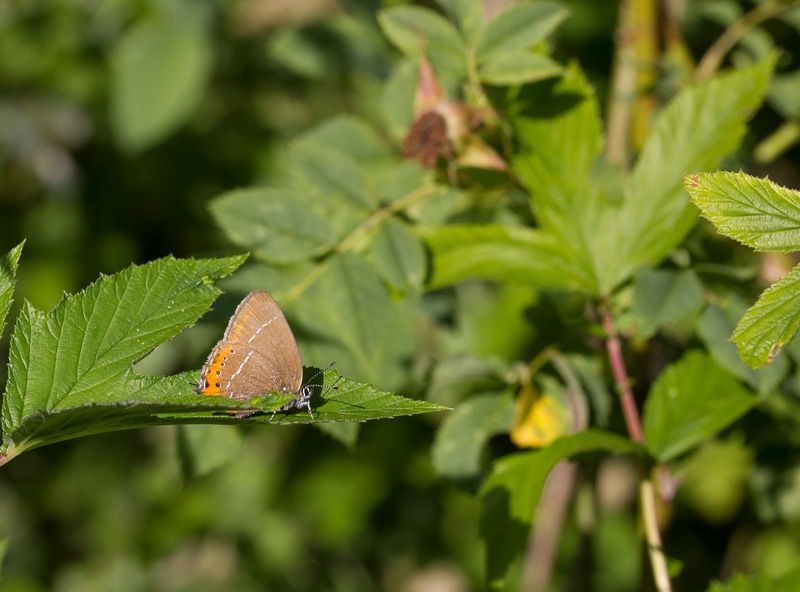 Soon enough the idea of seeing one in Salcey became ever distant as the short lived Black Hairstreak season was coming to an end and they were well passed their best at the other sites and reports of them slowed down. On the morning of the 11th of July, as mentioned previously, we had arranged a Butterfly Conservation event to help people see the Purple Emperors in the forest. The event didn't start until 10.30am but as I woke up to a bright blue sky at 7am I decided to get there early armed with some fish sauce to try and help entice the Emperors out of the canopy. I walked into the forest and came across one of the many sections we'd looked at as a possible Black Hairstreak site. 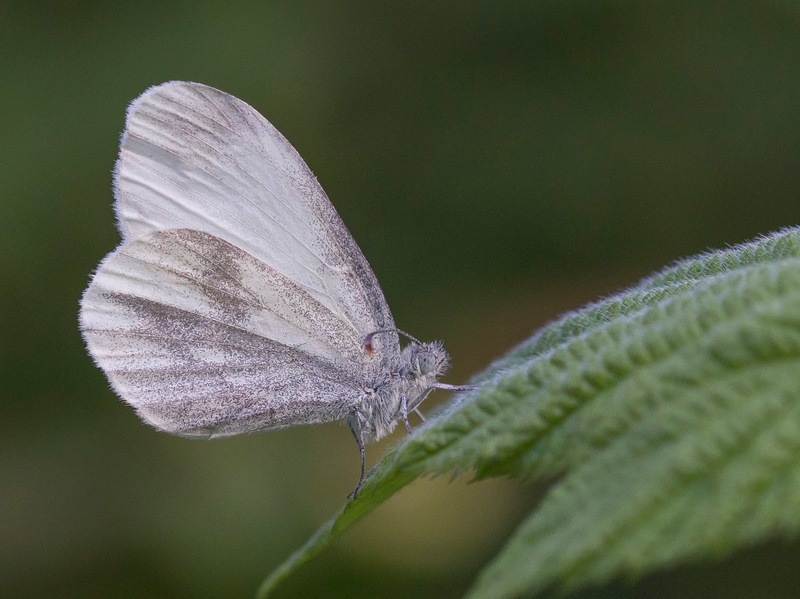 The sun was blazing into an open area that was fringed with old Blackthorn bushes and then amongst the many Large Skippers and Ringlets whirling around something caught my eye as it flitted up and landed on a small Sallow bush in the middle of the tiny glade. I couldn't help thinking that it looked very much like a Hairstreak as it flew but as I'd made the rookie error of coming out without the binoculars I had to do a lot of squinting to try and find it amongst the foliage. Luckily though eventually I did and it was now behaving like a Hairstreak too as it twirled round to get the sun on it's undwerwing. I took a ropey record shot at full zoom on the bridge camera but the photo was rubbish to say the least although it did show that the butterfly had held it wings closed despite the sun blazing down. 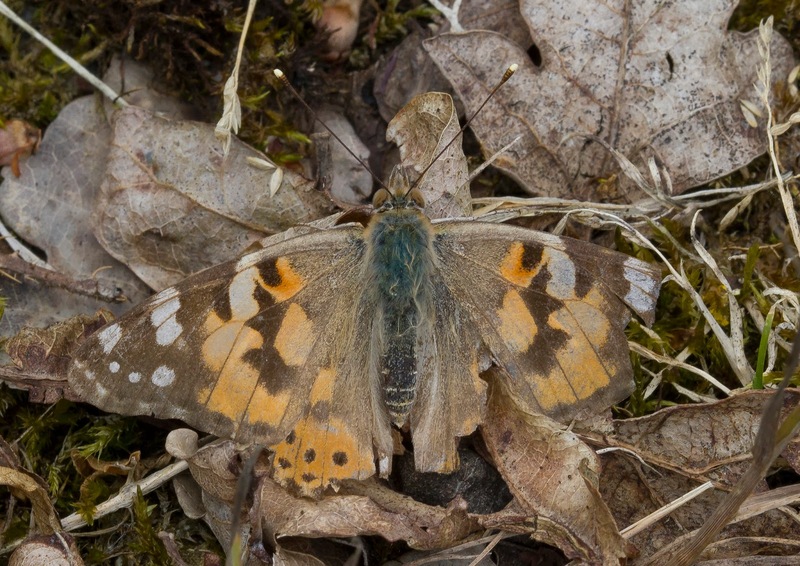 Unfortunately the butterfly was very worn and had positioned itself at such an angle I couldn't make out any of the markings on the wings and then almost as quickly as it came it shot off and out of sight. I stood there as amazed as I was frustrated as White Letter and Purple Hairstreaks had emerged at the other local sites and I was very annoyed I couldn't get a positive id on this one. I kept checking the back of the camera from all sorts of angles but I couldn't get enough detail to see exactly what it was. I waited patiently for what seemed like ages and I was almost about to leave when another Hairstreak looking butterfly flew up and landed on a different area of the Sallow. This one was in much better condition and it conveniently turned round into a more favourable position enabling me to get a good look. I couldn't believe what I was seeing as the orange back to the butterfly's hindwing could be seen even at this long distance and my thoughts were that this must be a White Letter Hairstreak which was great as it's also a butterfly not seen here for a while. I got the bridge camera out again and took a shot at full zoom. It still wasn't very good so I took a couple more and checked the pics on the back of the camera. As I zoomed into the out of focus shot I started to see details which I couldn't quite believe at first. There running up the orange band was a row of black dots! I really had to pinch myself and look again several times to prove to myself I wasn't seeing things. Here in front of me, finally after all the weeks of searching was a Black Hairstreak! 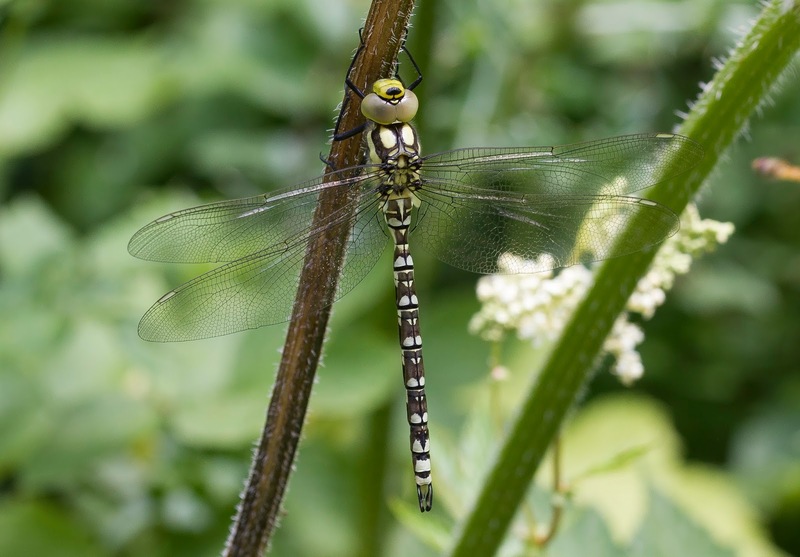 Here is the first record shot I took, apologies for the rubbish quality but as it's the first one I was able to get an identification from I thought I'd include it. I was almost in a state of shock! This one shot off quickly too and I waited for what seemed like ages (but in reality was only 15 minutes) and started to walk back to the car. As I did so I saw another Hairstreak fly up and into the Blackthorn further along and on other side of the ride. 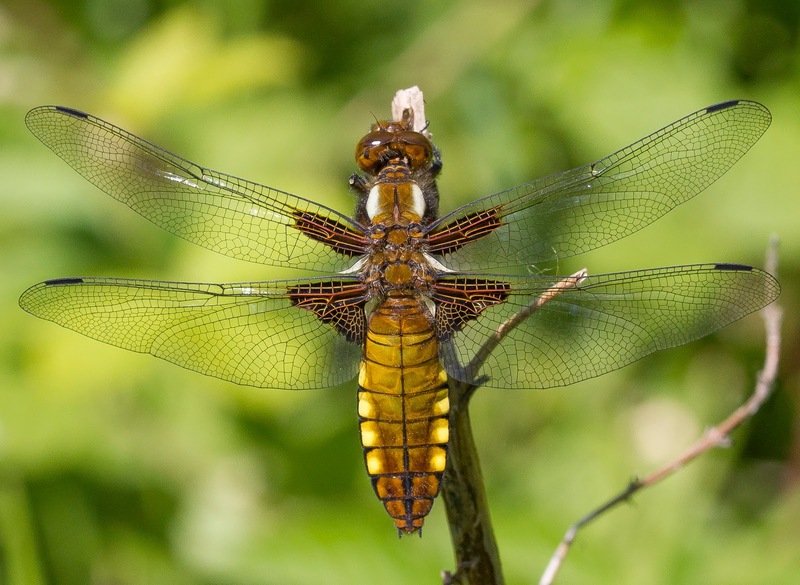 I watched as it did battle with a Ringlet before sitting up in the top of a tree. Once again it was well out of range of the SLR so I grabbed the bridge and got a shot at high magnification. This one came out a lot better and showed another very nice looking female Black Hairstreak up in the canopy. It then commenced to do battle with the Ringlet again and took off and shot across to the other side of the ride and settled low down in the vegetation. This time it was well in SLR range! I turned on the live preview mode and pushed the end of the lens through the grass and as I knew that I probably only had one chance of getting this the pressure was high. I rattled off shots while trying to constantly change apertures settings with one hand. I only managed half a dozen photos before it once again shot off and I tentatively looked at the back of the camera. 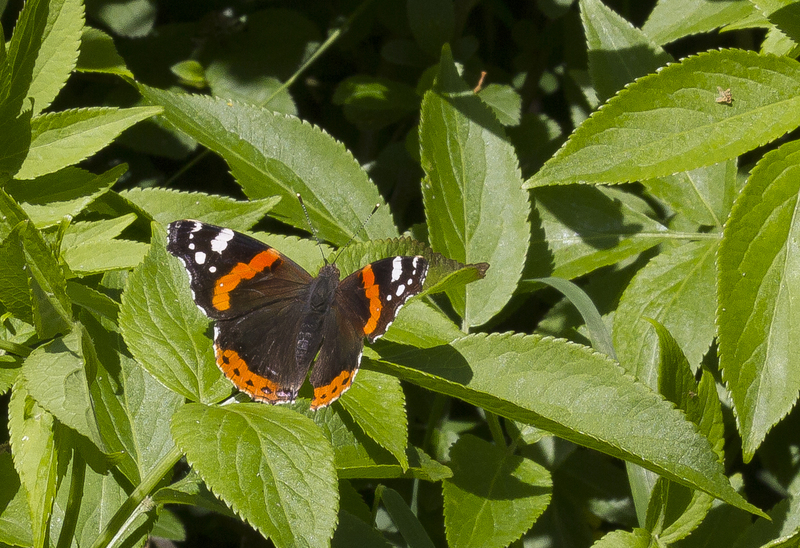 The pics had really come out well and the below photos portray one of the highlights of my butterfly watching career! 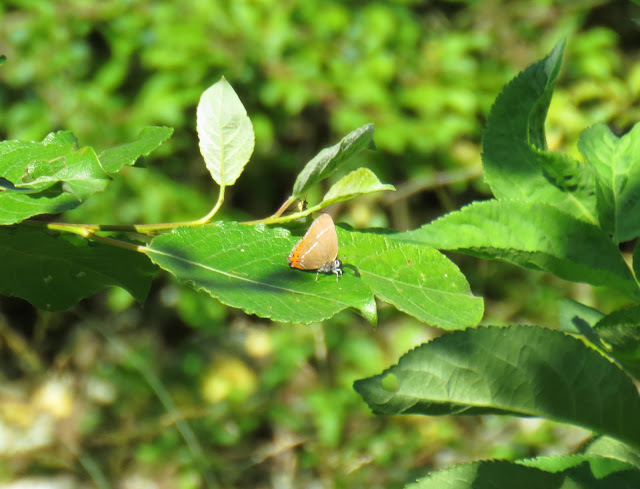 After several years of no records, I had now proven that the Black Hairstreak still exists in Salcey Forest. As a nice touch as I left I noticed another butterfly tumbling out of the Blackthorn and into the vegetation below. I had a closer look and saw a very worn male Black Hairstreak, this was significant as the other two Black Hairstreaks seen were female so it looks like they may have bred. Again it's not the best photo but I thought I'd share it all the same. So now we know where they are and it was certainly a morning I won't be forgetting in a hurry. I'm already looking forward to next year when we can study them in more detail! It's moments like this that make local patch watching so worthwhile!